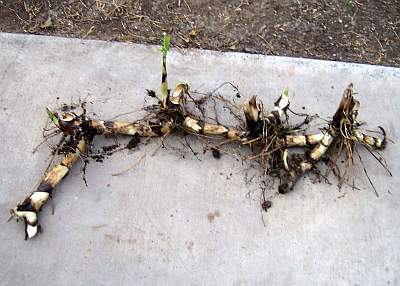 Canna ‘Omega’ rhizomes are big and sturdy. The string of rhizomes above is about 3 feet long. I’ve been digging up Canna Land so I can repair the beds and implement my new planting scheme. The weather has been nice here and it feels great to be gardening!